Book is out, blog is back! Welcome back! 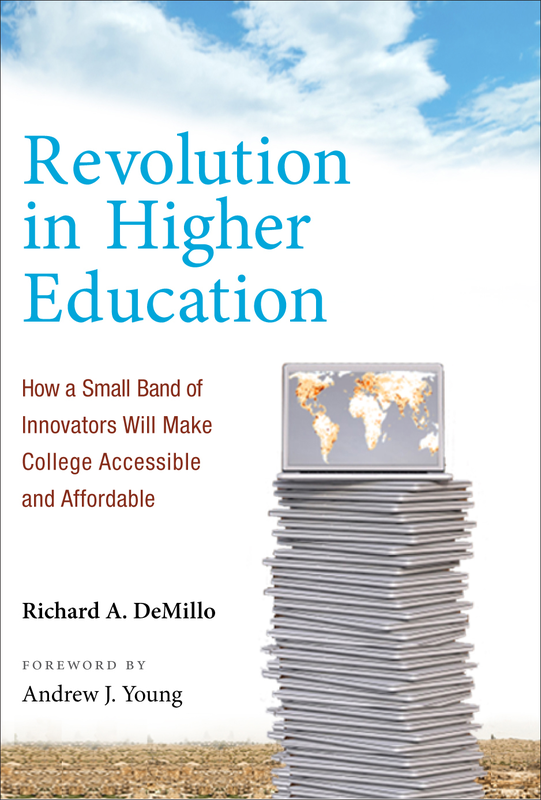 “Revolution in Higher Education” was released by Amazon and other booksellers a few weeks ago. There is also an audio version in CD and online formats. I hope you enjoy reading it as much as I enjoyed writing it. Fans of “Abelard to Apple” will recognize this as a continuation of the story of how higher education got to its current state and where it is going. However, Revolution is edgier and I think it will promote more spirited debate. There are already reviews that call it depressing and others that call it inspiring. The one thing that everyone notices is my emphasis on the social contract with universities. It is the unifying thread. I want to give special thanks to Ambassador Andrew Young for a wonderful Foreword that focuses on the role of American universities in providing access to quality education. Ambassador Young and I will be taking this message to audiences over the next several months. I’ll be blogging about the three themes of this book: affordability, access, and achievement. A lot has happened since the manuscript was completed earlier in the year and I want to update you on where the revolution stands.